I would just like to introduce a new club sponsor for the 2018 /2019 season . 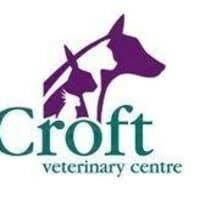 The Croft Veterinary Centre.We now have the sponsors web link on the bottom of our booking pages / website. Please visit direct via our website for all your veterinary needs or emergencies for the full contact details.